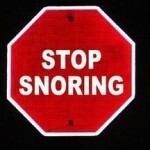 The trumpeting noise associated with snoring is the result of airflow trying to push its way through a blocked airway. 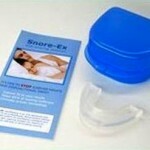 While snoring is not a disease, it can give rise to other serious health conditions. Allergic rhinitis is commonly associated with people who snore. 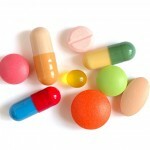 It is caused when the membrane lining the esophagus and nose gets swollen. 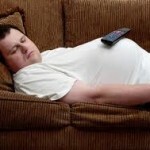 The swollen membrane lining creates a blockage in the airway, which in turn causes snoring. This condition is usually a symptom of an allergic reaction to an inhaled substance. 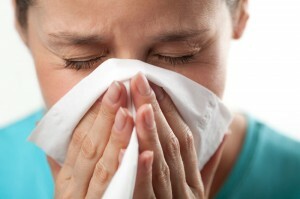 Allergic rhinitis that is seasonal also is also known as hay fever. Seasonal allergic rhinitis happens mainly due to plant, trees and grass pollens, and occurs mainly in summer or spring when the pollens are large in numbers. Perennial allergic rhinitis is a prolonged allergic condition that lasts yearlong, and is generally is a result of allergy to feathers, house dust, mold spores, dust mites or animal fur. You are often sleep deprived when you have allergic rhinitis. Sleep deprivation causes daytime fatigue and somnolence and decreases your productivity, alter your mood, increases risk of accidents and overall affect the quality of life. Until now, it is very difficult to establish a direct relationship between impaired sleep and rhinitis. However, a recent research conducted by Fisher et al (2005) carried out studies on a group of rhinitis patients and found statistical evidence suggesting the correlation between daytime sleepiness and quality of life with the severity of rhino sinusitis. The study also noticed severe snoring issues associated with allergic rhinitis patients, which also affected their biological clock and subsequently their sleep quality. There are various treatments available for allergic rhinitis, however the best treatment is try to prevent of avoid the offending allergy. 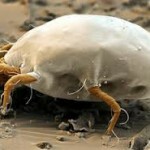 For instance, barrier bedding is easily available in main street shops that will help to prevent house dust mites from getting into your bedding or pillows. Smoking tobacco is also a common allergen and it affects both the smoker and all those who are sitting nearby. It is a known fact that children of smoking parents are thrice as likely to suffer from snoring as those from non-smoking families. If you have a problem using medicated products you can use anti-inflammatory herbal sprays such as Rhynill. It helps to relieve the symptoms of nasal congestion and can be used on a continuous basis. But if you are unsure about what is the reason behind your allergy, then you can try a simple home test allergy kit to know the cause. Imutest allergy kits usually are best to find out the most common allergies and provide an accurate result in less than 45 minutes. So if you have any kind of allergy, make sure to get it checked today. It may be an underlying reason for your snoring.